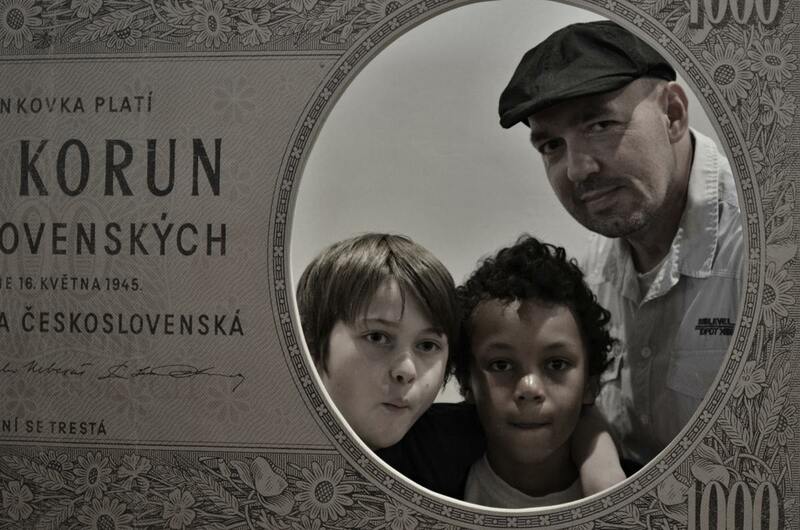 Max, his classmate Dano, and his teacher pose at an interactive exhibit for the history of Currency in Slovakia at the Central Slovakia Museum in Banská Bystrica. Max performed for his 2014 year end guitar recital last Wednesday and I was able to capture him accompanying two classmates for guitar duos. In between the duos he played his own solo–Estudio 6 by Ferdinando Carulli. It’s a long piece and Max did a beautiful job. Unfortunately, I somehow failed to record it. Fortunately, he’ll be playing at a wedding reception this Saturday and I’ll make double sure I get it recorded then. Otherwise, you can always have him play live for you when we visit this summer ;-). You can see a couple more pictures from the Grand Opening of the History of Currency exhibit at the museum in our gallery and see the clip below for his recital performance.